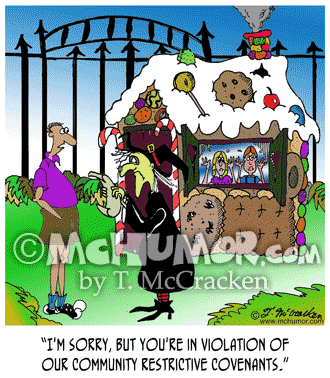 Community Cartoon 7949: A gated community rep says to a witch in front of a gingerbread house, "I'm sorry, but you're in violation of our community restrictive covenants." 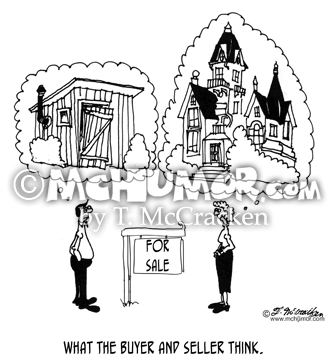 Real Estate Cartoon 5964: "What the Buyer and Seller Think." 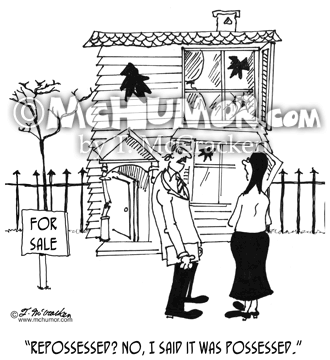 In front of a "For Sale" sign one person thinks of a shack and another of a mansion. 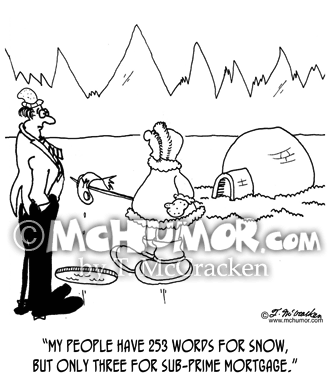 Banking Cartoon 7981: An Eskimo saying to a lawyer, "My people have 253 words for snow, but only three for sub-prime mortgage." 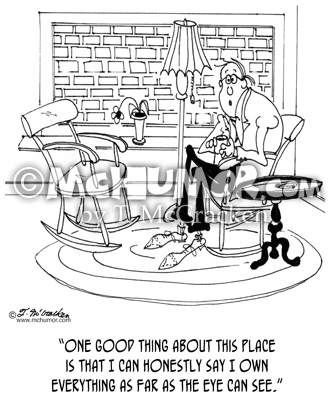 Real Estate Cartoon 8279: A man sitting in a living room where the window that looks out on a brick wall says, "One good thing about this place is that I can honestly say I own everything as far as the eye can see." 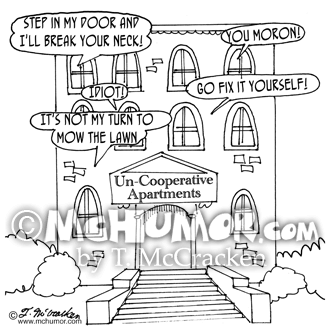 Apartment Cartoon 6178: "Un-Cooperative Apartments." Residents shout, "Step in my door and I'll break your neck!" "You moron!" "Go fix it yourself!" "Ooops." 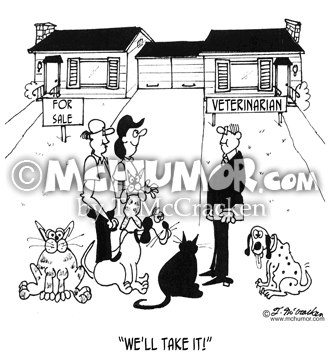 "It's not my turn to mow the lawn." "Idiot!" 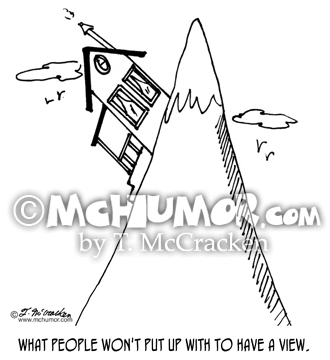 Real Estate Cartoon 5951: A very tilted house is on a steep mountain. 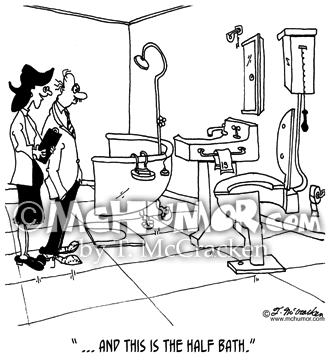 "What people won't put up with to have a view." 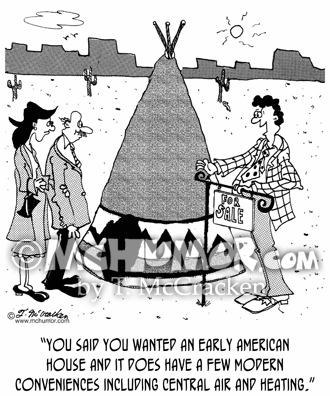 HVAC Cartoon 7379: A real estate agent showing a couple a tee pee says, "You said you wanted an early American house AND it does have a few modern conveniences including central air and heating.